Marc-Antoine Carrier : over a decade of Web development. I build websites since 1998. I designed the very first « Conseil Québécois des ressources humaines en tourisme (CQRHT) » site at that time, before my websites design and administration training at Collège Édouard-Montpetit was complete. I am proud to be among the first 15 graduates Webmasters in the province of Quebec. I was hired by Ominimed one month prior to completing my training where I worked for two years as graphic design and Webmaster. Over the years, I had the privilege to work with some of the best Web and marketing agencies in Montreal : David & Goliath communication marketing (D&G), Tonik Groupimage et Hue Web Studio (now Équation humaine). I worked as webmaster, programmer, web developer, also as art director and project manager. During this time, I have been fortunate to participate in several important projects. 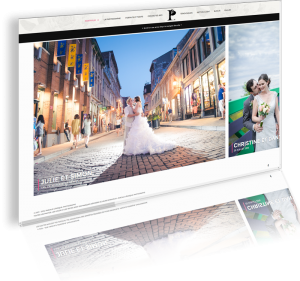 These include the design of the website of the “Association des Constructeurs du Québec (ACQ)”, as well as the blogs for Tourism Montreal, the STM and the TV show “What’s Cooking”. Several contracts are available to me when my collaboration with Hue Web Studio ends… So many that I decided to become self-employed in January 2010. I have since collaborated with Natmark Concept, Aron Black Design and Inpix among others, in addition to designing Julie-Eve Carrier, photographer, Camping Dynasty and Services Clean Team Websites, to name only these.